Most people tying the knot or ready for a proposal would know the kind of ring they’d like for their better half, but not many of them would know the long history behind the tradition and the significance an engagement ring carries with it. So for your knowledge we’ve put together some interesting facts about engagement rings, their history, and the custom and other stories about engagement rings. When the custom of exchanging engagement rings began in the early Egyptian times they decreed that engagement rings should be worn around the fourth finger on the left hand only. The Egyptians believed that the finger has a vein which is directly connected to the heart and therefore the right one for an engagement ring. In many cultures an engagement ring was given by men to women to signify that they offer them financial support. Sometimes a ring was also accompanied by a purse of gold coin for further reinforcement. In the ancient times it was customary for men to spend from one to three months salary on the engagement ring they’d present to their beloved. Even when the rule is not strictly followed in the modern times, most people do spend at least a month’s salary on the ring. December is considered to be one of the most auspicious months to buy an engagement ring. It is believed that 15% of the couples get engaged during the festive celebrations during December. Apart from December, couples are also seen buying rings during festivals such as Thanksgiving, New Years, and Valentine’s Day and so on. Although the most expensive metals, white gold and platinum are the most popular metals for engagement rings. Modern day brides are also fond of having their rings with round cut brilliant diamonds, followed by princess cut for the excellent shines they sparkle with. According to stats, 60% brides are involved in the selection of their own engagement ring, and up to 3% choose it themselves. 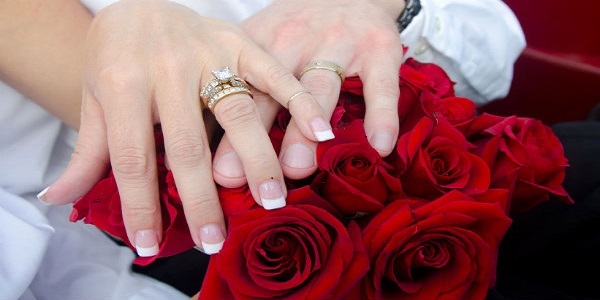 Purchasing wedding and engagement rings together is the best way to make some huge savings on your purchase. In fact many brides get their wedding and engagement ring soldered together in order to form a band, signifying their wholesome commitment to the relation. As horrid as it may sound, a recent study has revealed that 28% of the women are likely to turn down a proposal if they don’t like the ring. Although weird, it’s a fact that most of us would like to have a ring that suits our taste and style – after all we’ll be wearing these rings for a lifetime. Different culture will have different meanings ascribed to engagement rings. For instance the Jews defy the law of wearing the ring in the fourth finger of the left hand, many of them advocate the ring to be worn in the index finger only.